stack. That is not the case however and IPv4 will be around for a long time yet. between the two, like it or not. 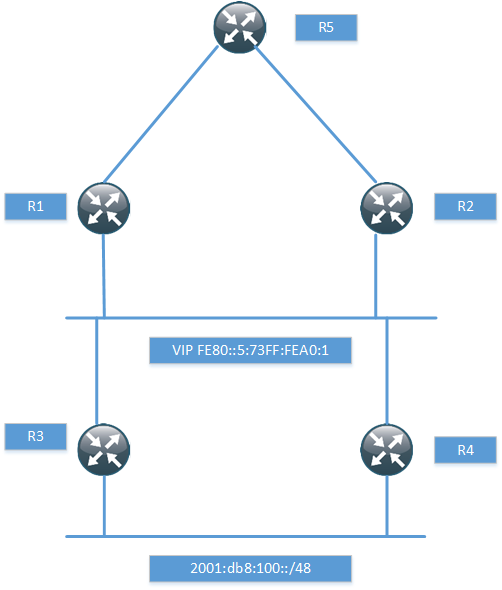 maps the IPv4 address into an IPv6 prefix. As the name implies, it keeps no state. 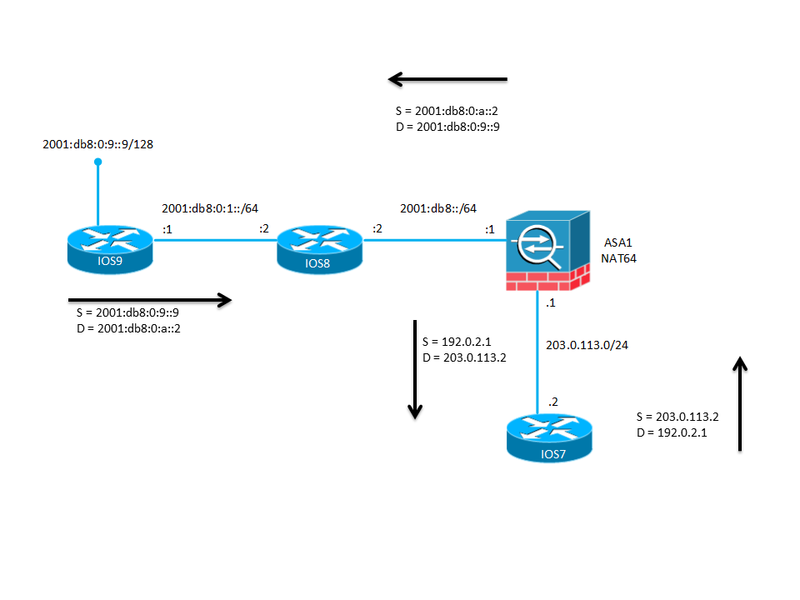 It does not save any IP addresses since every v4 address maps to one v6 address. described further in this post. with IP addresses on the interfaces and static routing. twice NAT is supported but I prefer twice NAT, so that is what I will configure. 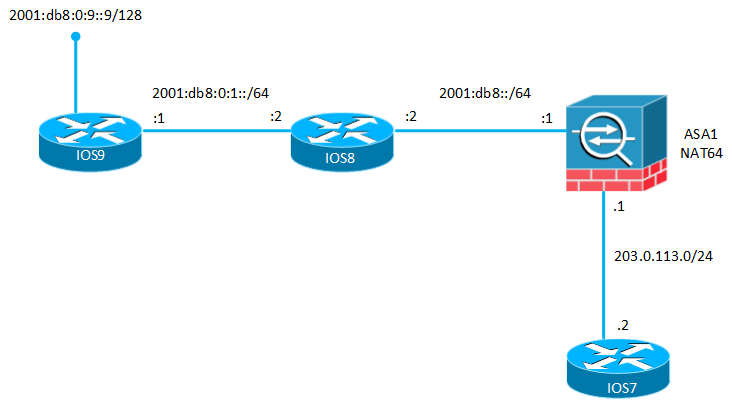 When pinging from IOS9, we need to define an address that will represent IOS7 (IPv6). them properly because otherwise it can be confusing to understand the traffic flow. 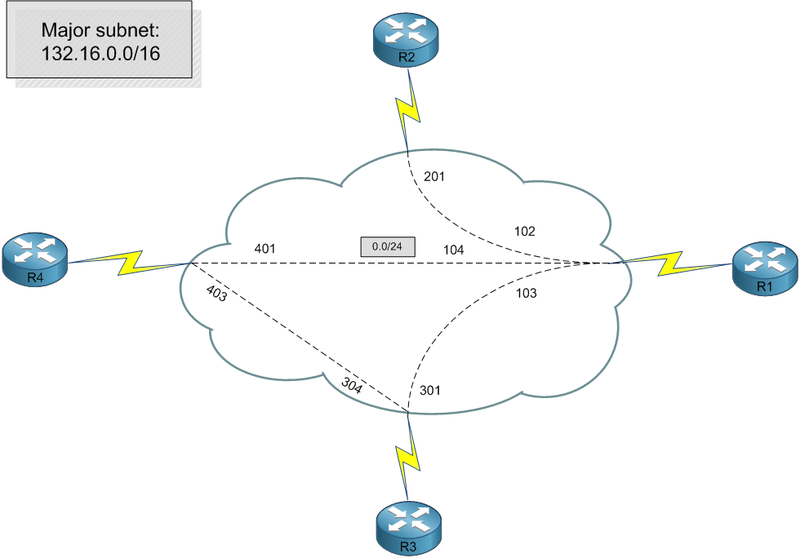 That was ICMP. How about TCP? We need to allow TCP through the firewall. No matter what you think of NAT, that is pretty cool! pool and translate to that. The source got translated to 198.51.100.1 through PAT. come. 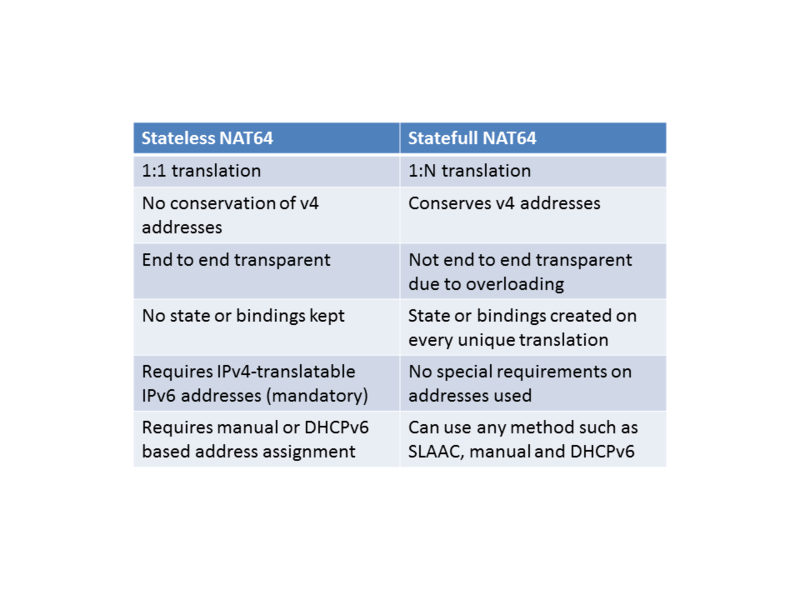 Knowing how to configure NAT64 is just another tool in our belt.